NOTE: This is neither a preview nor a review, as neither seemed to be an appropriate description; it is a collection of tenuously-linked thoughts and ramblings based on the 2.0.4 build. 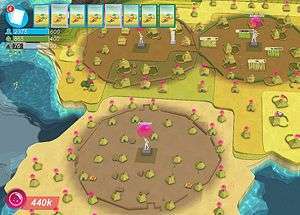 You’re probably aware of Peter Molyneux’s Kickstarted sort-of-Populous-reboot “Godus” and you probably heard terrible things about it when it first hit Steam Early Access at the end of last year, justifiably so in all honesty. After six months of silence it’s back with Beta 2.0 and it’s better than before. The premise is simple, you are a god – which is handy – and your goal is…vague. You have followers who want to build houses so they can breed in them, which is fair enough, but making space for these houses basically involves flattening everything that makes the terrain interesting. There are incentives to move your followers to higher ground and not just take the entire world down to sea level, but that just means you end up with some slightly different coloured flat areas with steps between them. That’s not to say it’s an unenjoyable process, as they’ve substantially improved the terrain manipulation, and there is something very satisfying about sculpting the world to suit your followers, but it’s still a shame that you have to destroy the landscape to do it effectively. Your followers’ dwellings produce belief, which is what you spend to sculpt terrain, use God Powers and build shrines and settlements. You collect belief by clicking on the pink bubbles that appear over the houses. Mercifully, you can now click and drag to collect multiple orbs of belief, but by the time you’ve got a few hundred followers you’re still looking at a minute or so of collection for every five to ten minutes of play. This can be mitigated slightly by building settlements, which cause belief to coalesce in the centre, but they’re small, expensive and difficult to tessellate meaning that you’ll always have standalone houses to collect from. Thing is, there’s no reason for us to have to do this; it wouldn’t be so bad if belief naturally accrued over time and you could simply click it to gather it faster, or if there was some other benefit to doing it by hand but there isn’t, it’s just busy work. When you first start playing you are presented with a time-line full of technological and social upgrades for you and your followers. Upgrades can be unlocked by using resource stickers, which can be found hidden around the landscape in chests and as rewards for completing Voyage of Discovery missions. These take place on little island levels and play out a bit like Lemmings, with you having to guide a number of your followers from their boat to an objective within a time-limit. You’ll never have enough stickers to unlock everything, so it’s up to you want you want to focus on; in theory this allows everyone to have their own unique development path, but in reality some upgrades are all but worthless, while others are essential. The sound design is probably one of the high points of the experience; the ambient sounds are great, it’s like wandering through the woods in summer and there’s enough variety to stop it from becoming too annoying. The rain and thunderstorms sound fantastic and the little snippets of classical music that play, note-by-note as you collect belief are surprisingly well done with the dissonant notes that signify your failure to “complete” a song always making you feel a little disappointed in yourself. Pretty much every event in the game has a different audio cue, which makes it very easy to identify what’s happening without too much effort. That said, the shouts of your followers can start to grate a little if their pathing screws up and they just keep saying “lost ‘em” over and over until you clear them a route to their destination or redirect them elsewhere. The problem with Godus is that it feels like it’s a Free-To-Play without any of its benefits. It costs money for a start, not that it’s a barrier to continuing to charge players these days, but – more importantly – everything takes forever. To expand your area of influence you have to capture Expansion Shrines, which take progressively longer to capture each time. The most recent one I came across had a five-day timer on it – that’s five actual days, not in-game time that may only be a few minutes (give or take, as having more followers working on them can speed things up slightly, but not by enough to make a difference on that scale) – and it’s not like you can pay real money to speed it up either; not that I would anyway. Equally, if you lose followers during a voyage due to failing a mission, you have to wait a certain amount of time (usually an hour or two) for them to be replaced, which means no more resource stickers for you, and those are probably the only reason you went on the voyage to start with. Now, the game does continue to decrement timers for building, belief generation and Voyage reinforcements while you’re not playing, but it only does so at half-speed, so you’ll still have to take an hour-long break before continuing your voyage, while that Expansion Shrine will take 10 days of not playing to capture. That’s just dumb. 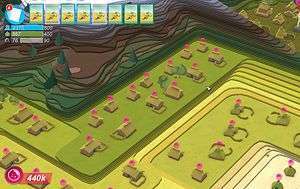 Godus feels like it’s in desperate need of a purpose; it’s fun to play, but you never get the sense that you’re working towards anything beyond unlocking the next area of the world and maybe being able to build nicer houses on higher land. The timers are also far, far too long; they’ve already sped up belief generation considerably because it was taking hours to gather enough just to make space for your next houses, but they really need to pick a side of Free-To-Play and stick with it. Either embrace it fully and shove a load of micro-transactions in to speed things up or, preferably, cut the timers right down to reasonable values so that I’m not forced to stop playing for a week just so that I can continue building my world. 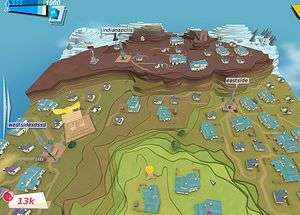 The good news is that they’re claiming the game is only about fifty-percent complete and so far they’ve done a good job of reacting to player feedback, but as long as they’re missing a core goal and sense of achievement, I don’t think any number of changes or feedback will be able to turn Godus into something that I would recommend people spend money on. Being Early Access doesn’t excuse this, as no matter how early it is in its development, you should really have a solid idea of what your title is about. It’s a shame, because it’s an enjoyable proof of concept and the interaction mechanics are pretty sound – it could be a really good game, but I’m just not sure how they’re going to get it there. Odd, it sounds like it started off life as a F2P game before Molyneux decided to release it for actual money before taking out the F2P elements. Also do anyone else think that Peter Molyneux is actually a vampire? It can’t be just me. Nicely done. I feel this is the future of games writing until publishers realise charging people to beta test their games isn’t a good idea. But what of that kid that won Curiosity? Is he technically the one, true overlord? Or does he only get that gig when it’s released proper? Have they heck! I’m a KS backer for the game and they’ve flat out ignored just about everything the backers have said. 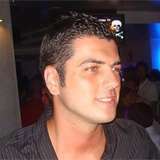 So many promised features ignored. The ‘regenesis of the god game’ is nothing more than a f2p cow clicker with no actual purpose whatsoever. It’s a joke at the moment and no sign of improvement. oh dear, I’ve bought this but am yet to play it as the beta crashed on me mid tutorial so I’ve decided to wait until full release until I try again, yet, I hear nothing but negativity, which is a shame as I want to enjoy this game. I had a Mega Drive when I was younger and Populous had always intrigued me, even if I was to young to fully understand it. I’m also intrigued by the Mati Klarwein influence of the artstyle as aka-darbari-java/magic realism by john has sell is slowly becoming one of my favourites albums the more I mature and I’m sure he must have been an influence.